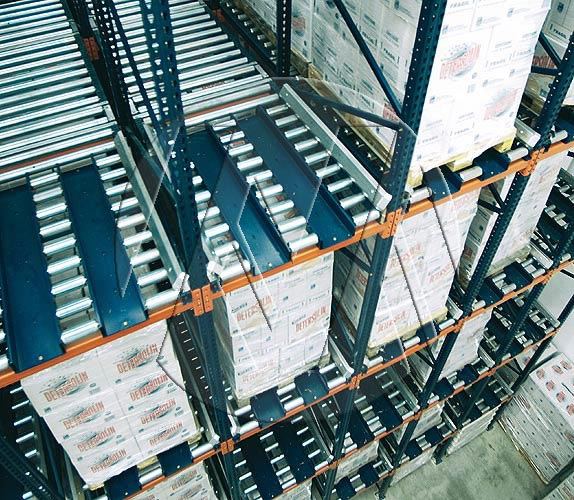 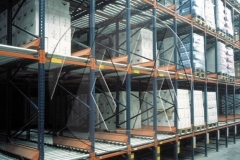 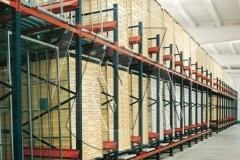 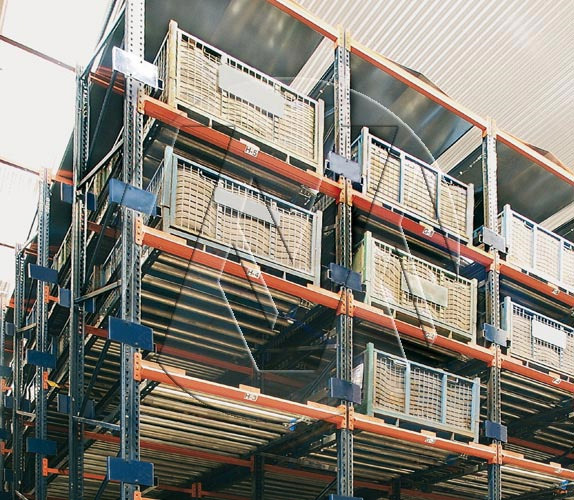 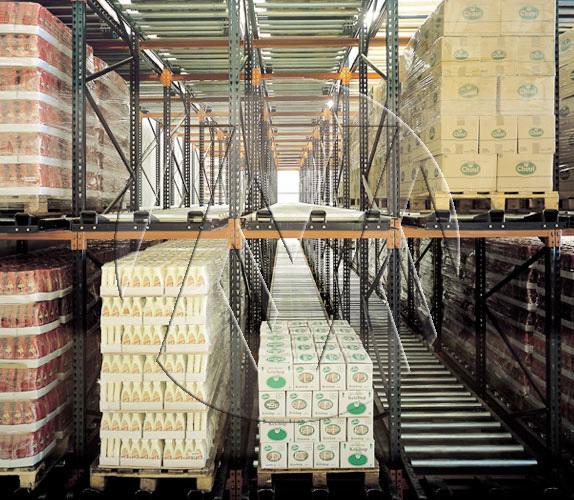 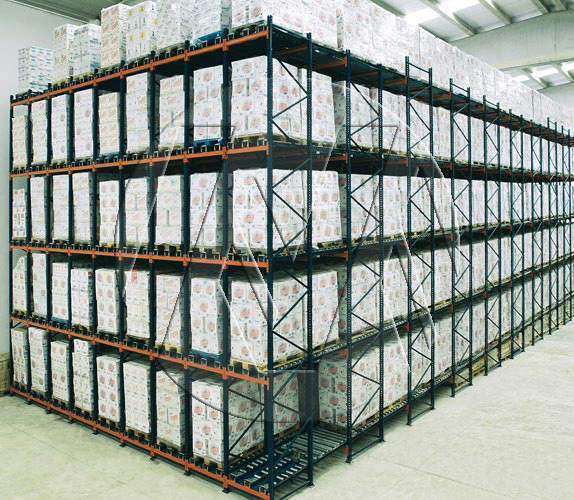 This type of pallet racking is fitted with a slightly-inclined gravity flow rack which allows the pallets to slide down to the other side at a controlled pace thanks to gravity. 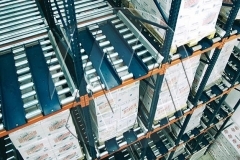 * Enables perfect pallet turnover (FIFO SYSTEM). 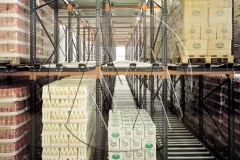 * Maximum capacity as storage system is compact. 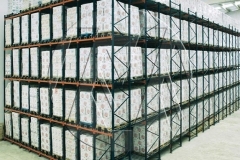 * Timed and space saved in pallet handling. 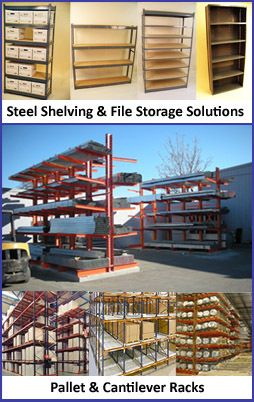 Shelving Concepts is your “count on us” source for file shelving, widespan shelving, rivet shelving, cantilever racking, and pallet racks. 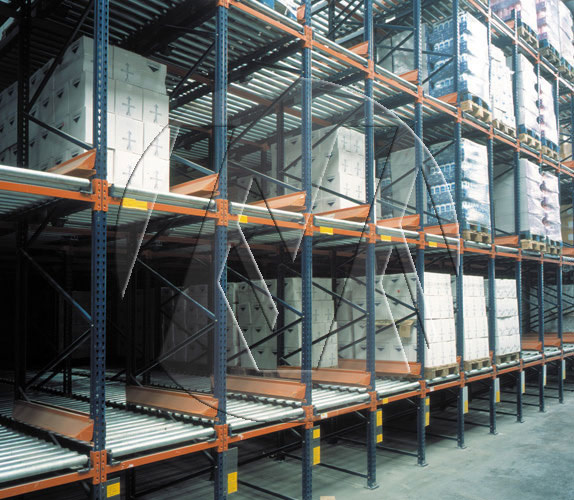 We are a storage rack stocking distributor in the Gulf Coast area for new pallet racks as well as wire decking for warehouse pallet racks. 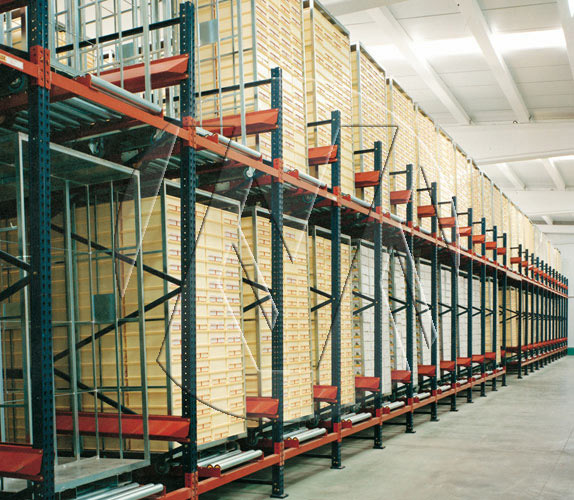 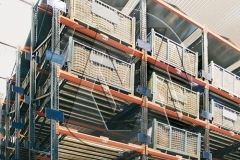 Watch these helpful industrial racking videos in which Shelving Concepts President Tom Amoruso answers some common questions about racking and shelving.